worked for them and how it impacted my life to emulate their patterns. a suit and tie, I received another video. The other side of the coin you might say. a high price package sitting behind a table with a box of ‘stuff’ in front of him, many times covering his mouth with his hands or the product. The over casual approach and body language raised my buttons, and I turned it off without ever seeing the entire clip. This alarmed me that I was put off by someone who looked closer to me than the suit and tie guy. Was I secretly afraid of his look and did not want to trust him? Did I need to move closer to the “other side” to gain acceptance? More confusion arose when I learned that he reportedly sold millions of dollars of product in just a couple of days with this clip. You can never say the wrong thing to the right person, or the right thing to the wrong person. 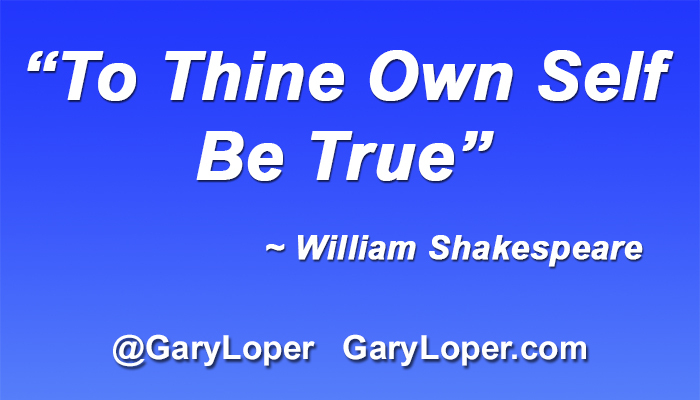 What I learned was “to thy known self be true”. Trying to fit in to another view of what is easier for them to handle will lead to inner turmoil, always chasing for someone’s approval. No manner what we are promoting, the real product is you. People will be drawn to you, and your personality and values. There are a huge number of things people are looking for in any relationship, personal or business. There is more than enough for all without trying to clone one another as the only way. Systems and duplication are important, but need to be tweaked depending on the audience. What has worked for you? I am interested in learning from your experiences in being true to yourself, and creating a public image that people are drawn to. Feeling lost? Uncertain as to where you fit in the big picture? Can’t define who you are? Get answers and insights to transform your life and business! Take a giant step forward in success, invest in private coaching sessions at group rates.